Targeted marketing strategies are a crucial part of any type of communication between a consumer and a business. As a marketer, you cannot simply craft a message and hope it lands well with the audience. You need to know who you’re talking too, and you need to adjust your message to them. That usually means you need to segment your audience according to one of many factors. When you segment and address audiences according to their age group, you’re engaging in generational marketing; a tried and tested way of approaching marketing communications. Marketers have always found different ways to increase the precision of targeting. Before “Millennials” and “Gen Z” were the ubiquitous buzzwords, marketers were able to market to generation X or the Baby Boomers. Dividing audiences into age groups wasn’t the only way to narrow down on a segment of the market. Occupation played a large role, as did ethnic background, social status, and geographic factors. Today, however, you have an even wider palette of useful points of differentiation. Thanks to tech advancements, marketers have an unprecedented view of consumer behavior, so much so that they’re able to target audiences just based on their intent. But even among the thousands of possible points of differentiation, belonging to a specific generation still holds its ground as a valuable way of looking at audiences. The main reason generational marketing remains relevant is that — it works. It’s not simply a reduction of a group to a couple of key traits. Generational marketing means finding out what makes Baby Boomers different than the Millennials; for example; and then using those differences to market products or services to them. And the differences abound. We know that Baby Boomers are the biggest and possibly the most reckless spenders. They are also the generation that’s holding most positions of power; they are more focused than the newer generations, and they have a strong work ethic. Millennials, on the other hand, are multitaskers who want instant gratification. They appreciate teamwork, transparency, and connectedness, which are all markings of a generation shaped by the use of the internet. These traits have a huge influence on how and where marketers should try to reach different generations. Older generations are more likely to deeply engage with long-form online content. Younger generations prefer brief content or video. Older generations tend to gravitate to Facebook for their social media needs; while the younger generations use a much wider range of social networks. They also prefer different communication channels. Recommended for you: 5 Referral Marketing Strategies All Mobile App Developers Should Consider. As a marketer, you will want to understand the people you are trying to communicate with. The further your audiences are from the generation you belong to, the harder it will be for you to engage them in meaningful communication. But when you understand what generational marketing is and what makes one generation different from the other, it gets much easier. Here’s an example. If you’re looking to sell products to Gen Xers, you don’t have to rely on video, at least not as much as you would if marketing to members of Gen Z. Using services of HandMade Writings, a company that specializes in the creation of written content, would be a good idea because Gen Xers like blogs and often communicate using emails. The content doesn’t have to be fast-paced, but it has to be to the point and easily understandable. You are not catering to the multitasker kids with a short attention span. But you are writing for people who have jobs to do and not a lot of free time on their hands. It would be best if you could keep the content focused on customer benefits. Segmenting your audience according to the generation they belong to can be a great starting point for fine-tuning a marketing campaign. Even though generational marketing is valuable on its own, it still works best when you combine it with other methods that can help you zero in on the right consumer group for your products or services. 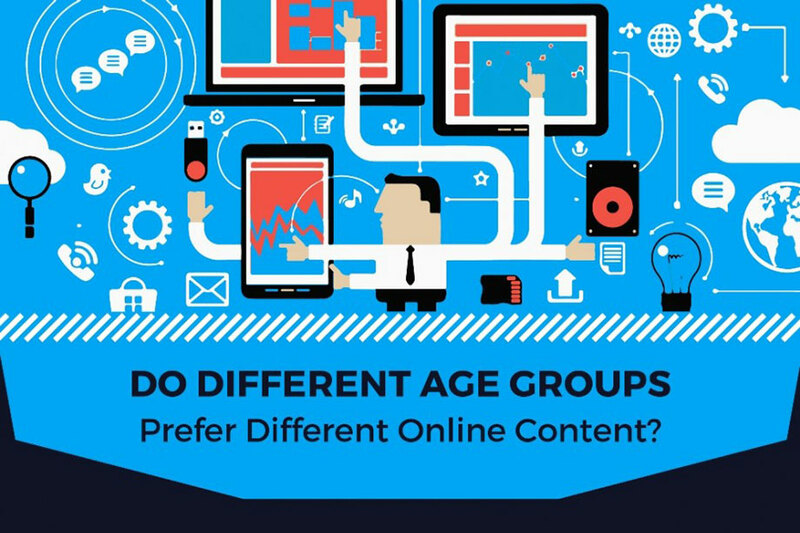 The following infographic will give you some of the basics of how different generations behave, what they prefer, and how to best reach them. Here is the link to the original post: https://handmadewritings.com/blog/articles/generational-marketing/. This infographic is submitted by Donna Moores. She is a savvy content marketer and freelance blogger. She has gained an outstanding marketing experience within the biggest industries and businesses, which she pleasantly shares with the readers. You may reach out to Donna on Twitter or LinkedIn.